A photographer turns his lens on small businesses taking over storefronts abandoned by the national chain. It’s a classic low-commitment landscape — the wide arterials of Phoenix, Arizona, engineered to move cars quickly, many with six, seven, sometimes even eight lanes of traffic, including what transportation planners call “two-way left-turn lanes” and the rest of us call the suicide lanes. The rights-of-way can blur out one hundred feet or more, and they’re wider still when you add in the parking lots for the strip malls that line them (the six-foot-wide sidewalks hardly count). The roads are treeless, too, because trees would block the big signs — for the fast food drive-ins, big box discounters, payday loans, etc. — which are critical when your customers are clipping past at 40 mph. Photographer Paho Mann began to learn from this landscape a decade ago, when he was a student at the University of New Mexico, commuting across Albuquerque from home to campus. 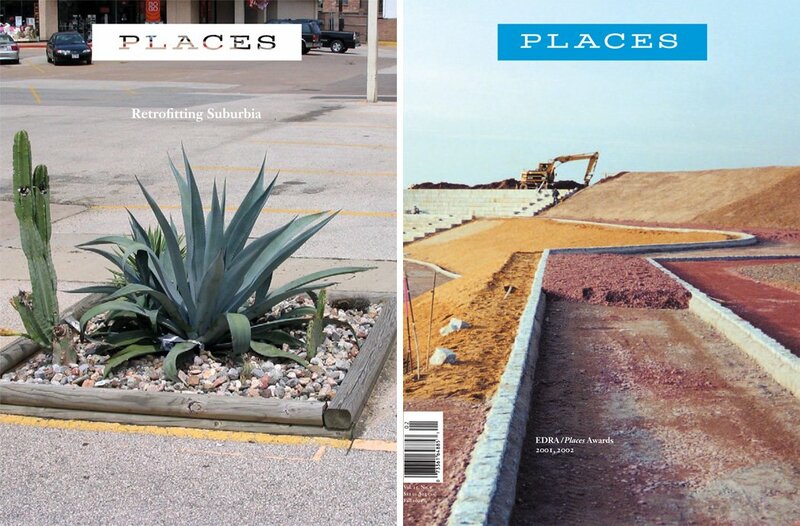 Mann — who wasn’t yet born when Venturi and Scott Brown took their Yale studio on the road and did the research distilled into Learning from Las Vegas, arguably the most influential architectural investigation of the postwar era — has paid special attention to the Circle Ks, a national chain of convenience stores founded in 1951 in El Paso. But what actually attracted him were “re-inhabited” Circle Ks — the small local businesses that had set up shop in locations that the corporation had abandoned in the past two decades, largely due to changes in business strategy and identity (including a bankruptcy restructuring and series of acquisitions) that emphasized fewer but more profitable sites. The ‘re-inhabited’ buildings have injected a welcome dose of local commitment into the strip. Mann continued his drive-by research when he moved to Phoenix to go to graduate school at Arizona State University. “The shells left by this migration were filled by dozens of small businesses, each inhabiting a practically identical structure,” he writes. “The new occupants would paint, put up new signs and modify windows and doors.” To make his study more systematic, Mann used old phonebooks (from the ‘70s and ‘80s) and Google Earth to create a database of existing and former Circle Ks and map their locations. (You can see the map on Mann’s website.) He discovered that new owners had found diverse uses for the old franchises, including a dry cleaners, a couple of florist shops, a tattoo parlor, a tuxedo rental place, several mini-marts and dollar stores, and Bridgett’s Last Laugh Karaoke and Fish Fry. In the process they’ve injected a welcome dose of local commitment into the strip. It is very well possible that all of the old Circle K's are the brainchild of architect Ralph Haver. In his portfolios, he is credited with designing the "Circle K Prototype" in the early 50s that I believe is what we experienced as hundreds of Circle K's across AZ and NM - with all of its subtle variations (especially in the walls flanking the windows which often use decorative CMU). Circle K abandoned this trade dress in the 60s/70s (?) and the buildings were either sawn-off at the overhang and redressed, or sold and converted into small businesses. They are perfectly adapted for independent businessmen not wishing to be part of a larger strip mall, loved for their huge angled beams and cantilevered roofs (witness the abandon with which they are adorned with Mexican beer flags and banners), and come in a variety of flavors that are a delight to identify on your next road trip or jaunt across town. Next time you are in a repurposed Circle K, take a look at the angled beams and the hardware, and compare to another commercial structure of Haver's like Copenhagen/Lou Regester. Don't bother calling Circle K, the corporation has changed hands so many time their PR department has nothing for us on the history of these prototypes. Great job Paho -- I saw the series of photos at New American City a few years back and having grown up with these buildings have a fondness for them, Haver or not. I wish I could be more charitable to these as a set of photographs, but they're really boring. They're a boring subject, photographed in a boring way. This style of photography was done to death in the 1970s by art school photographers across the country, and was a firmly entrenched cliché of the field by the early 1980s. Probably over 1000 MFA thesis projects were launched on similarly boring subjects, cataloged and recorded in similar photos. This strategy has not become more interesting with the passing of time. Bring something fresh to the approach, or go home! Whoa, Andy. Some people enjoy very much looking at this type of landscape piece. Do you feel left out somehow? I would hesitate to ponder your feelings about a photograph of a woman's buttocks. They've been doing that awhile, too. This is definately a statement on the economy, and also one about recycling. Seeing the landscapes gives an interesting view of the west. However There is only so much one can do before it seem repetitive. Paho Mann lives and works in Denton, Texas, where he is an Assistant Professor of Photography at the University of North Texas.